First we'll need to look for the the start of the LED strip. Look on the back side of the strip (the opposite side of the LEDs). Find the small arrow that points away from the beginning of the strip. Now we can prepare the NeoPixel strip by trimming off the connector. Leave the wire long by cutting as close as you can to the connector. Use flush cutters to trim off the connector. Next we'll need to strip the wires and then tin each end with solder. Use the 22 gauge setting on the wire stripper and remove the ends of the the ground (black), power (red) and data (white). Now we can apply solder to each end of the wires to prevent them from fraying. 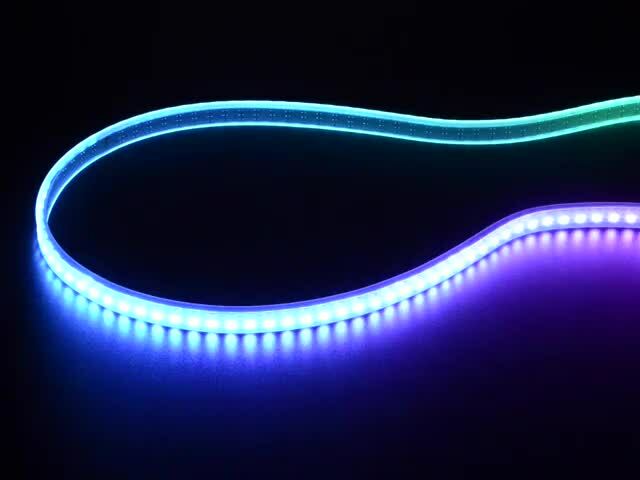 You can set the LED strip aside while we prepare the NeoPixel Jewel. To make soldering the NeoPixel Jewel easier, we'll use third helping hands to hold it in place. Place the Jewel with the back side facing you and apply solder to both of the ground pins (GND), Data input, Data out and 5V pins. Measure three wires 140mm long to connect the Jewel to the Feather board. Strip and tin the wires to make it easier to solder to the Jewel. The pins on the Jewel are small, so it will make it easier to use a tweezer to hold wires while soldering. 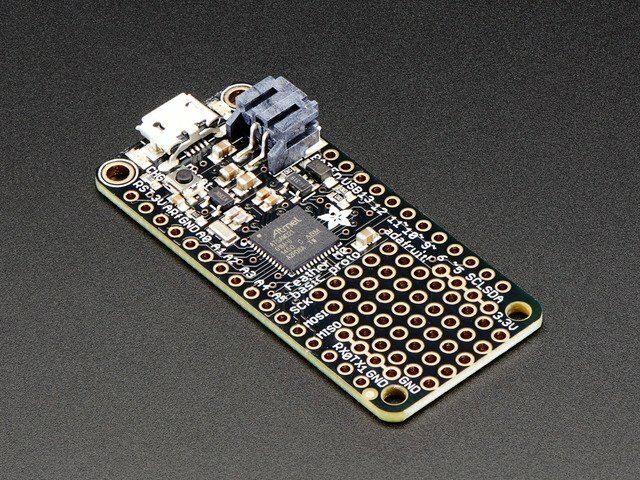 You can set the Jewel aside while we move on to preparing the single breadboard NeoPixel. We like to use a tweezer to hold the NeoPixel and then use a third helping hand to hold the tweezer. Tin the side that has "In" "G" and "+" pins. The single NeoPixel will illuminate the small gem on the front side of the shield. We'll need to add wires to connect it the Jewel. Cut and measure three 75mm long wires and strip and solder them to In, G and + pins. Attach the Jewel and NeoPixel to thrid helping hands and bring them close to each other. Solder the wires for G on the single NeoPixel to one of the G pins on the Jewel. Solder the In wire on the NeoPixel to the Data Out pin on the Jewel. The + wire on the single NeoPixel will share power on the 5V pin. With the single NeoPixel soldered to the Jewel we can move on to solder the Jewel and NeoPixel strip to the Feather board. Please follow the circuit diagram closely to properly connect the switch and the power to the NeoPixels. The assembly instructions below are for a different switch. Now we can tin two of the pins on the slide switch. Solder the wires next to each other, don't leave the middle pin empty. Reference the connections shown in the picture. Cut two wires 60mm long for the slide switch so they can reach the port opening for the slide switch to fit into. Next we can start to attach all of the components to the Feather board. D IN (white) on the NeoPixel Strip connects to pin 6 on the Feather board. + (Red) on the Strip connects to one of the pins on the 3V rail. The - wire (Black) connects to one of the pins on the GND rail. Now we can connect the wires for the Jewel to the Feather board. Data In on the Jewel connects to pin 5 on the Feather. GND on the Jewel connects to one of the GND pins on the ground rail on the Feather. 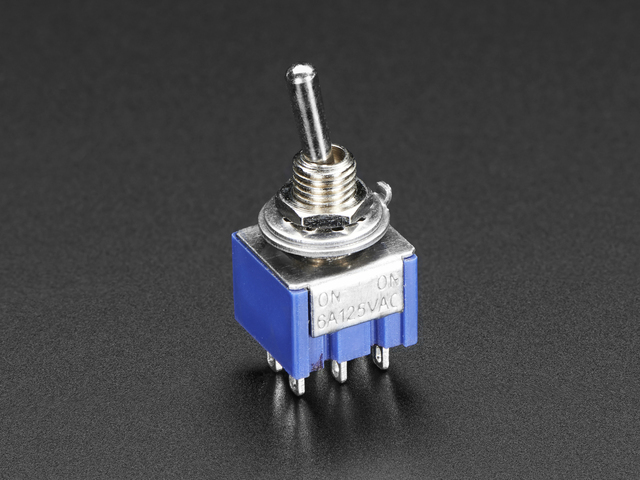 The 5V wire on the Jewel connects to one of the pins on the 3V rail. Finally we can complete the circuit by soldering the slide switch to the Feather. Solder one of the pins to the EN pin on the Feather. Solder the last remaining pin on the slide switch to on of the available pins on the GND rail. Now we can mount the Feather to the "handle circle" part. We'll use M2.5x6mm long screws to secure the Feather to the standoffs on the part. You can pre drill the screws to make it easier to mount the board. Position the Feather board so the USB port is aligned with port opening on the side of the part. Align the holes on the Feather to the standoffs on the part and fasten the screws to secure the board to the part. Next we'll need to secure the slide switch to the port opening on the handle circle part. Fit the slide switch at an angle and then push it into place. The tolerances should fit tight but we'll use a dab of hot glue to secure the it place. Carefully apply about two small squeezes worth of glue between the pins. Make sure to spread the glue around the walls of the port opening. Now we can start to mount the parts that make up the shield triangle pieces. Position the "tri btm" part over the circle handle part so the standoffs for both are aligned. Now we can pass the NeoPixel strip, Jewel and single NeoPixel through the cut out on the tri btm part. Set the NeoPixel strip aside so we can assemble the battery mount. To keep the Strip from pulling on the Feather, we tapped the end of the Strip to the side of the table. The 6600mAh battery attaches to the battery mount part. The battery is held in place with zip ties, or like shown here, gaffers tape. 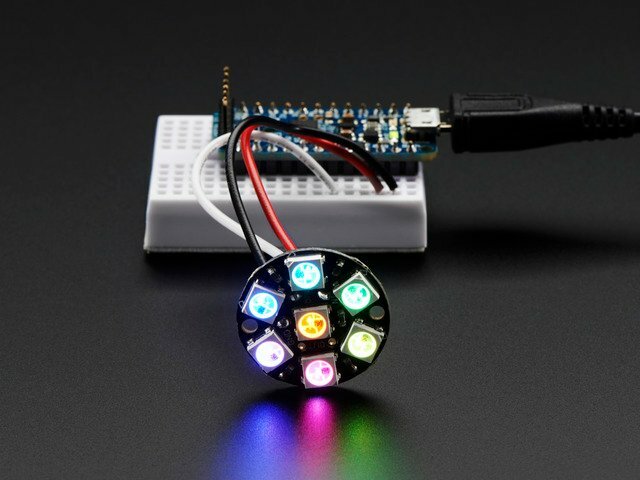 The battery mount part also has a circular wall that allows you to mount the NeoPixel Jewel. First we'll need to mount the NeoPixel Jewel to the battery mount part. Look for the slit on the circular wall mount and pass the Jewel wires through the slit. Once the wires are through the slit, we can pass the single breadboard NeoPixel through the center of the circular wall mount. Finally we can press fit the Jewel into the circular wall mount. We can attach the battery to the battery holder part with zip ties or a piece of tape. Thread the the zip ties or tape in between the slits on the battery holder like shown in the pictures. Position the battery so the wire sticks out of the longer side of the battery holder part. Lay the 6600mAh battery on opposite side of the Jewel and secure the battery to the battery holder. Now we can take the whole battery holder assembly and secure it to the tri btm part and the handle circle part. Position the wires for the battery and Jewel so they don't block the USB port opening. 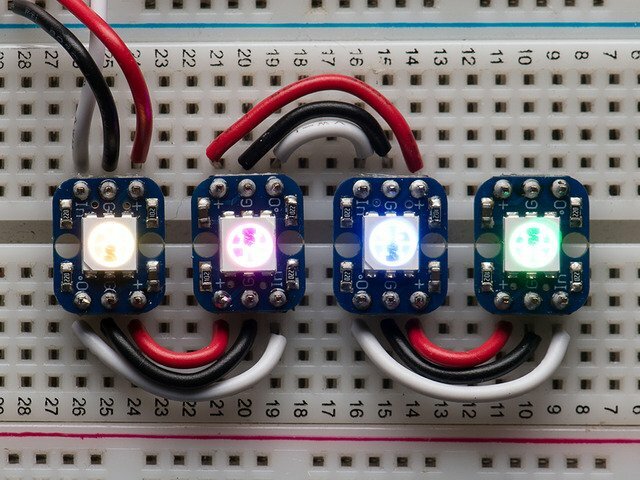 Keep the single breadboard NeoPixel with the Jewel. Use M2x12mm screws to attach the battery holder to tri btm part. Continue screwing through until you fasten the into the handle circle part. Now we can fit the NeoPixel strip inside the walls of the tri btm part. Begin by aligning the strip to the closest wall with the LEDs pointing out and away from the center of the body. We don't what any blue light spilling into the center were the Jewel and the breadboard NeoPixel will light the center gems orange. Now we can start to assemble the handle that holds the shield. The handle uses two M4.5x9mm tall screws that connects to the two side bars. The side bar then connects to the sides of the handle circle part with M3x12mm tall screws. With the handle assembled we can move on to attaching it to the rest of the shield. The handle circle has two counter sink holes to fit nuts for the M3x12mm screws. We can use tweezers to insert a nut and then screw the side handle bars into place. Hold the nut with one hand while screwing the side handle bars into place. Screw the other side and then position the handle so it will twist into place when you fold it straight out. Before we close up the shield, we'll need to remove the wires on the end of the NeoPixel strip. Cut the wires as close as you can to the silicone ends to prevent the wires from touching and shorting out the circuit. Finally we can move on to assembling the "blades" that make up the shield. Reference the diagram when laying out the blades, the pieces are not symmetrical. Make sure to place the blades so the handle is vertical when holding the shield. Use twelve M2x12mm tall screws to secure the blades to the standoff on the edges of the tri btm part. We'll only need to use two screws for each blade. Use one screws for each end of the blade. The blades will be held in place in the next step when we add the tri top part. Final Stretch! Now we can move on to attaching the tri top part to the rest of the assembly. We recommend screwing in all of the standoff on the tri top first. This will create the threads for each standoff, making it easier to attach both parts together. Align the tri top part by referencing were the smaller gem on the front will go. Now we can align standoffs on both parts and secure the parts with nine M2x12mm tall screws. Start by screwing in from the bottom, just enough to poke through the tri btm part and through the blade part. Then align it to the top standoff and fasten each side. Now we can add detail to the front of the shield by attaching the masking pieces. You can use an adhesive like E6000 to secure the pieces. We used a couple pieces of blue tac. Press down on the mask pieces and allow them to dry. Now we can power on the LEDs, ready for battle! 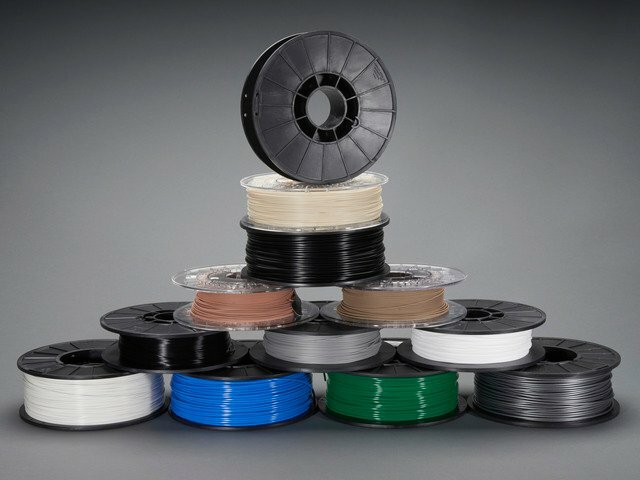 This guide was first published on Aug 02, 2017. It was last updated on Aug 02, 2017. This page (Assemble) was last updated on Apr 18, 2019.